Mango Kesari or Mango sheera is utterly delicious mango flavored sweet made with sooji/rave. 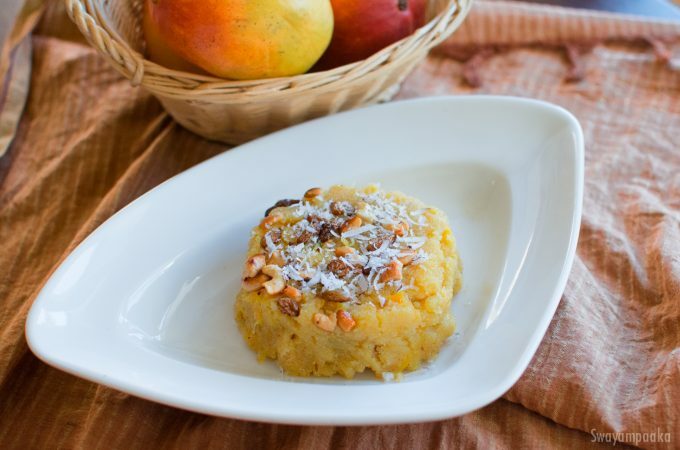 You can use any sweet Mango for this recipe. Instead of plain kesari bath try this Mango or Pineapple kesari which adds the fruit flavor and tastes heavenly.